But what I still get is ping or operation or whatever timeouts... I can connect to the car for a short period of time and then I get disconnected. It's enough for me to read the fault codes and some sensor data (if I'm quick to press buttons), but it still is annoying. Could it be a problem with port settings ( I did try various configurations) or a problem with the KKL Vag-com cord? it could be the port setup. You have to set the latency of the port as low as possible in devicemanager- port name properties. but i am aware of some car just random disconnect.. it is a very delicate communication and if the pc answers 1 ms too late, the ECU will disconnect.. so many errors possible that create a little slower answer. I bought a 1994 164 LS V6 24valves with only 27 000 KM. It only has 1 problem it's the airbag light is on. So I downloaded Wilc's program, and bought the USB to OBD2 (fiat-alfa one with the switch) and the OBD2 to 3 pins connectos. It has 12v power from the battery directly. Sometime I can connect. Yellow will flash and then quickly the 3 lights will flash and then nothing anymore. It gives me the ECU number but it doesn't give me any data. I'm plug into the the 3 pin connector fro the center console. I'm on port 5, anything I can do to solve this problem ? 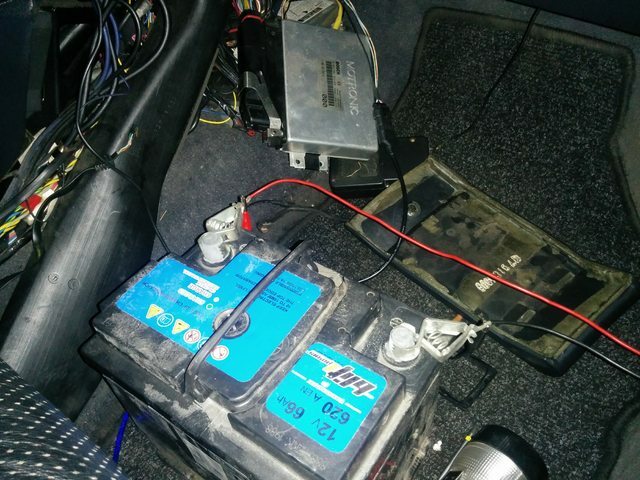 Also there is another 3 pin connector (yellow) on the passenger side right under the glove box by the foot well, what is it ? Thanks for your help, I can't wait to get it inspected and drive this baby ! Welcome Marty! Hope you can introduce yourself and your car in a bit more detail in the "Introduction"-topic. Amazingly low mileage! On your questions I can only hope some of the more technical guys on the forum here can help you. Welcome Since you write 'LS', I assume you have a US version. I don't think that should change anything regarding the airbag, though. In my Q4 the airbag diagnostic plug is on the right hand side in the passenger footwell, behind the panel next to the A-pillar. The one in the centre console would be for the Motronic engine ECU. If you set it to your version of the Motronic, I think you will get some kind of connection through that plug. Alright ! Finally Connected the right wires. and YES I can read the codes, but I cant delete them. Could someone help me out with these codes. I cannot comment on what the error is specifically related to, could be a sensor or the ECU. Do you mean that they don't disappear from the screen, when you press 'Clear errorcodes' or that they return when you turn ignition on again? The light doesn't go away, and the code dont disapear, either. If the code does not disappear from the screen, something is not correct in the program. If the code reappears and the light comes on after turning ignition on again, you need to replace whichever defective part is in the system. If the airbag system has detected an error (which is not intermittent), then the light will stay on, until it is fixed. I'm new around here. I've bought a 164 to hava a daily/project car. The mechanics can't communicate to the ECU (several machines/programs used) so I want to try Wilco's software. The problem is that the links are not working. The host server is down and I can't find the software and driver for the cable anywhere. I have started to put my -89 164 back on the road. I would like to read codes and data from sensors, but I seem to get no values at all with the software. It seems to connect and I get the ecu indentification, but then I also get "unknown" and ecu number below the "deivce found" message. Live data page goes through the selected values (they flash blue) but it wont give any value. Should it be working like this or is it not seeing my ecu? Can anyone help with this, thanks!